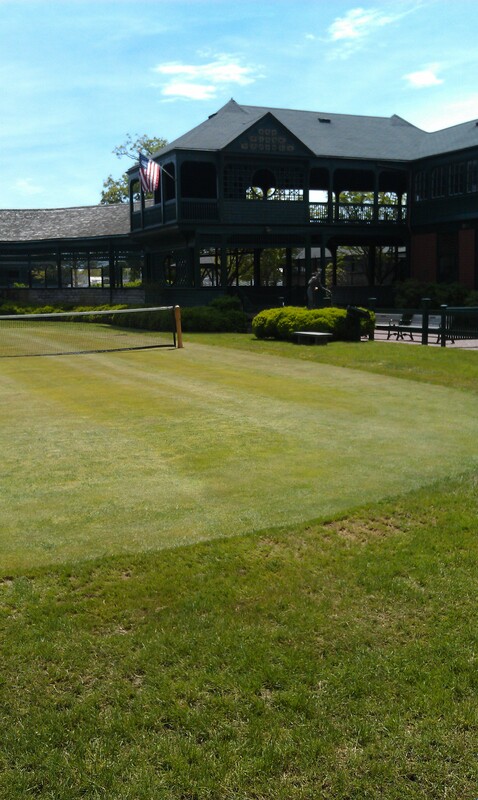 My travelogue of Newport, Rhode Island continues today. 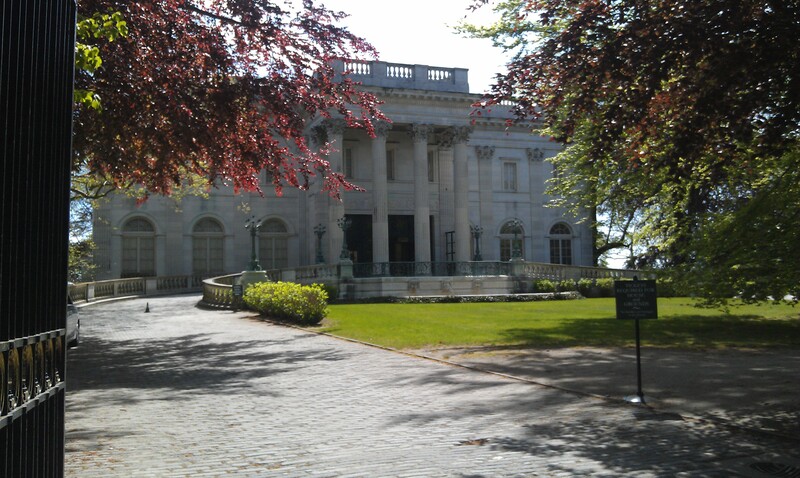 I had the opportunity to tour the Marble House, one of the mansions. 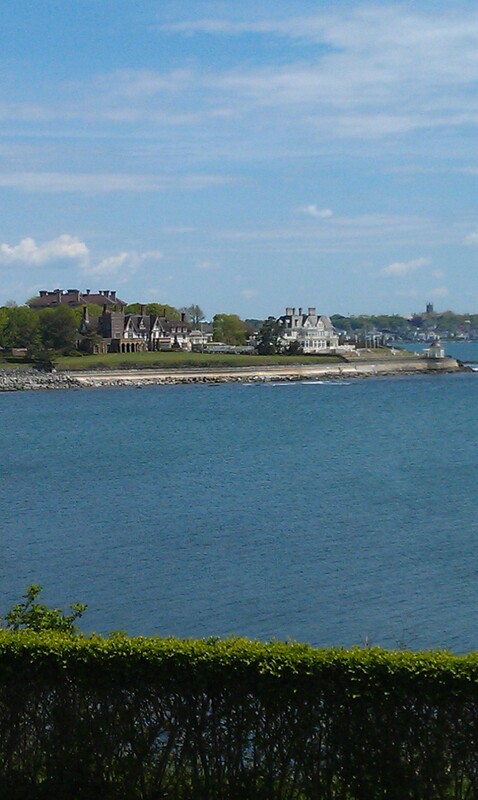 High up on the Cliff Walk, overlooking Rhode Island sound and the Atlantic Ocean, it was home to the Vanderbilts who made their fortune as venture capitalists in the NY Central Railroad and steamships. Their investments and other wealthy families foresight in our country’s future, brought more prosperity through expanding commerce. Husband and wife, had separate private reading rooms filled with books, on opposite sides of the mid-level landing of the enormous, two story marble stair case. It is where they went to get away, relax from all their social entertaining. 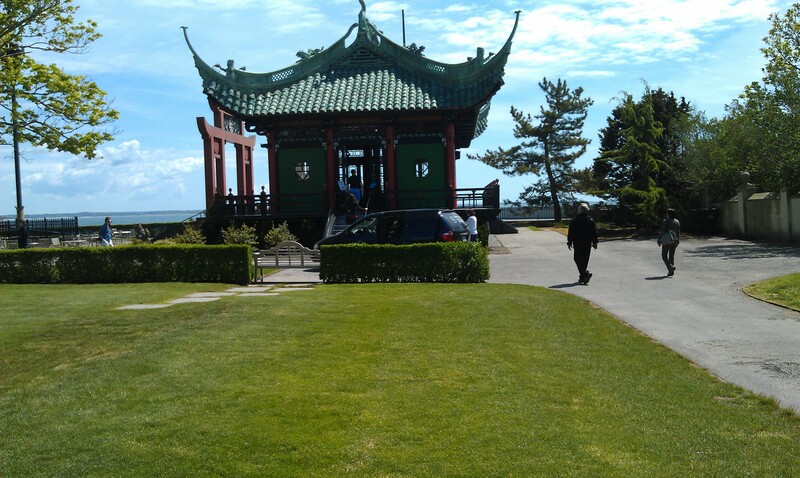 They also built a Chinese teahouse on the property with a magnificent view where guests could go for peace and solitude away from the hustle and bustle of the Marble House activities. Alva and William K Vanderbilt had three children. Their son, William K, Jr. was a pioneer in auto racing. Their son, Harold pursued his passion of yachting and sailed in the America’s Cup three times. Their daughter Consuelo became the 9th Duchess of Marlborough. 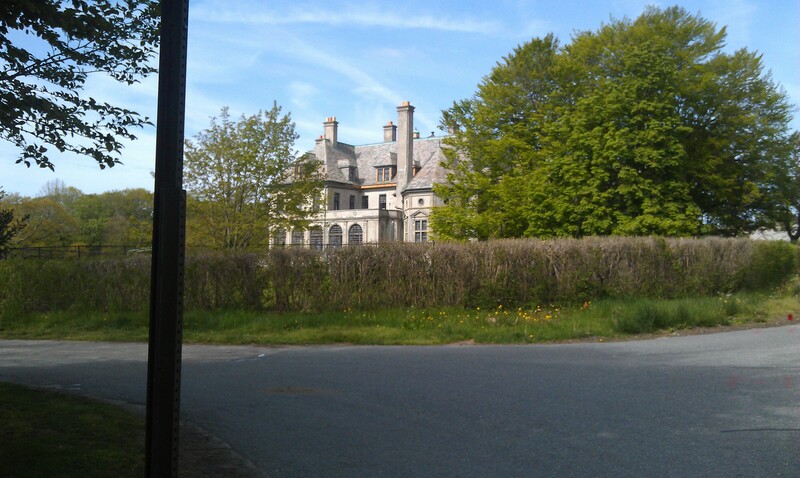 Photos are not allowed to be taken inside the mansion. To read more about the Marble House and to see a photo of the gold room in the Marble House, please visit this link. http://www.newportmansions.org/explore/marble-house. It was a fulfilling weekend in New England, exploring art, history and architecture. Return on Monday to www.AllThingsFulfilling.com where independent thoughts, words and views are all part of the business. This blog brought to you by www.CornerstoneFulfillmentService.com. 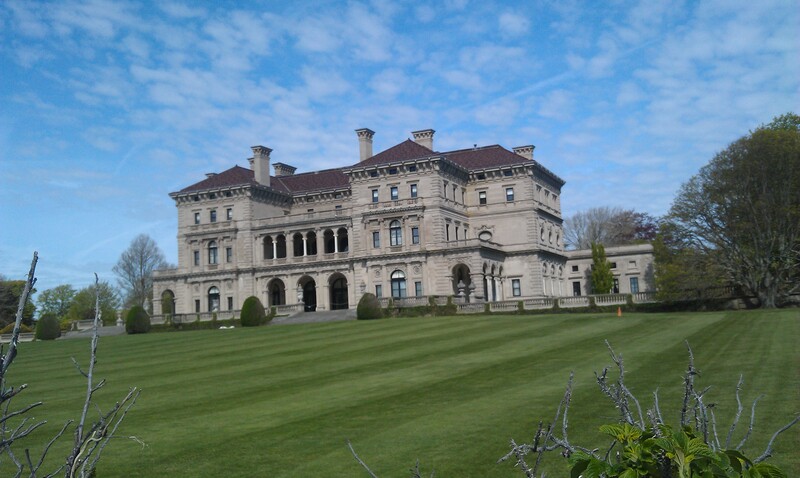 Above: Marble House, the Vanderbilt’s Summer Cottage by the Sea. Above: Me with the Babcocks, my niece Kara & Her husband Joe – two architects! 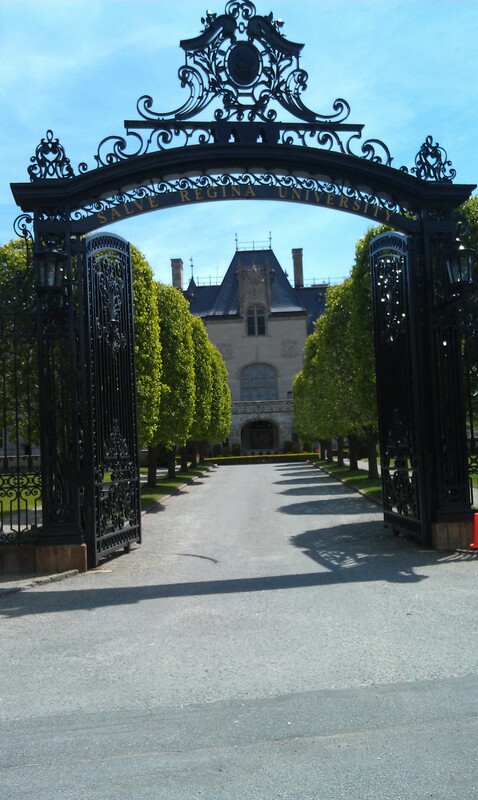 Above: Gates of Salve Regina Univ in Newport, RI – it was graduation day! 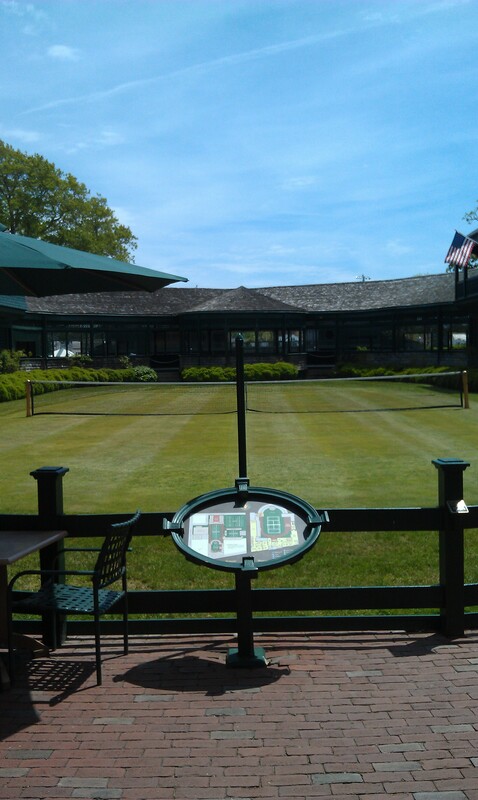 Above & Below Images: Stopped by the International Tennis Hall of Fame – it was neat! 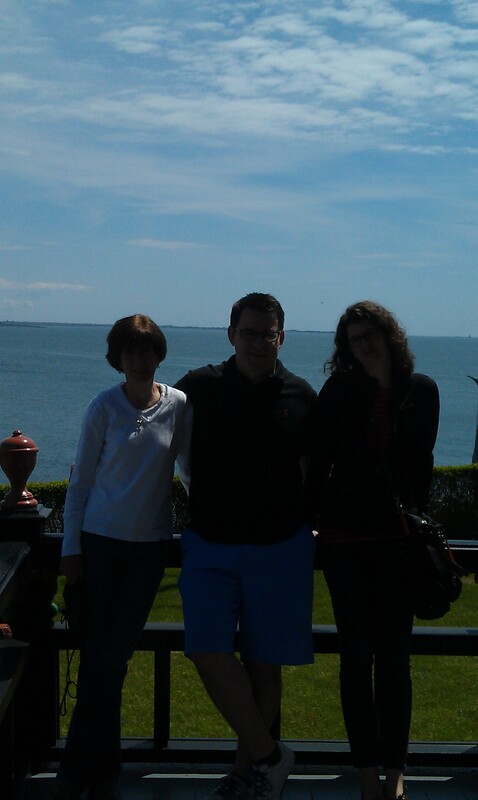 Goodbye, Newport! Can’t believe we saw all these sites in Newport in one day. Well worth the stop! Signed, Grateful, that I returned to this area once again. Loved every minute!